What do you do with a broken computer? You can take the time to learn how to fix it yourself, you can drop it off at a computer repair shop, or you can call in a technician. 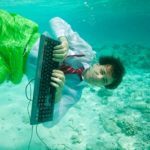 While all of these methods will get your PC up and running again, we think that we have found the best way to handle a broken computer. We have been around broken technology long enough to know what approaches work and what doesn’t. Quikteks has developed a 4 step workflow that you can pass on to everybody in your office to make sure that PC repair is handled as quickly and as efficiently as possible. 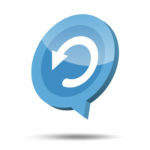 We want to now take you through this repair workflow step-by-step. With Quikteks’s remote monitoring and maintenance service, we take the first step and proactively maintain your computers. When you go home for the night, we will perform routine maintenances like updating your antivirus software, installing security patches, and scanning for hard drive errors. Remote monitoring and maintenance allows us to detect and take care of problems while they are still small issues. An issue that is resolved early will prevent problems that cause PC breakdown, which means that you may not even need step number two! When you notice a problem with your PC, give Quikteks’s Help Desk a call at PHONENUMBER. The first thing that we will do is listen to your issue and walk you through a series of easy troubleshooting procedures. We have found that many of the PC problems that users experience can be quickly taken care of with good advice. With our Help Desk Service, your company can subscribe to as much help as you need. We have an all-you-can-eat approach with our Help Desk. This means that anybody on your network can call us about any problem and we will do our best to walk them through the issue. Because we don’t charge by the hour, a user can feel confident about giving Quikteks a call instead of having to worry about racking up a large bill from phone support that charges by the hour. 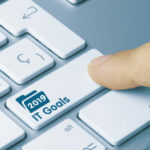 If the PC problem cannot be resolved by walking you through our best practices, then it is time for us to take the third step and remote into your computer. 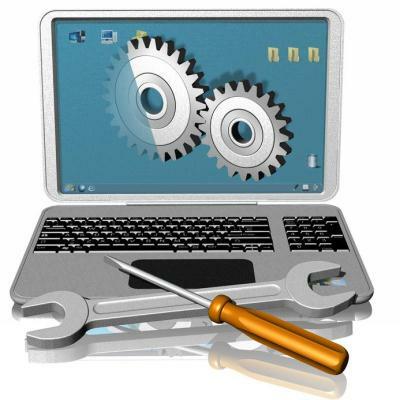 Our RMM tools allow us to take control of your PC so that we can work our magic and provide you with a fix. After spending a few minutes with you on the phone going over the basics, our experts will now have a pretty good idea what the problem is and resolving it is a high likelihood. As wonderful as remote monitoring and maintenance is, we still cannot remotely fix hardware issues. Not to worry, for any problem that can’t be fixed remotely, hardware or other, we have our friendly techs standing by ready to pay your office a visit. The advantage that comes with using this four step workflow from Quikteks is that it makes sure that everything possible has been done before sending out a technician. This saves us resources and time from traveling, and allows us to pass on these savings to you, making your IT service more affordable. We have determined that these four steps to computer repair are the most efficient way for businesses to take care of PC issues. Not only will this approach to IT support resolve issues quickly, but it will also save you money! To learn more about remote service and Help Desk Support from Quikteks, give us a call at PHONENUMBER.